Traditional log homes require a plethora of maintenance procedures to ensure long-term integrity of the housing structure. When utilizing much more energy efficient structural wall framing with log siding in lieu of traditional whole log you achieve the look and feel of an authentic log exterior at typically much lower overall finish cost while avoiding the structural risks and concern of keeping up with need for vigorous maintenance to insure integrity of house structure. Also, achieving traditional log home tongue & groove wood ceilings with exposed fir beams and rafters is not a problem. 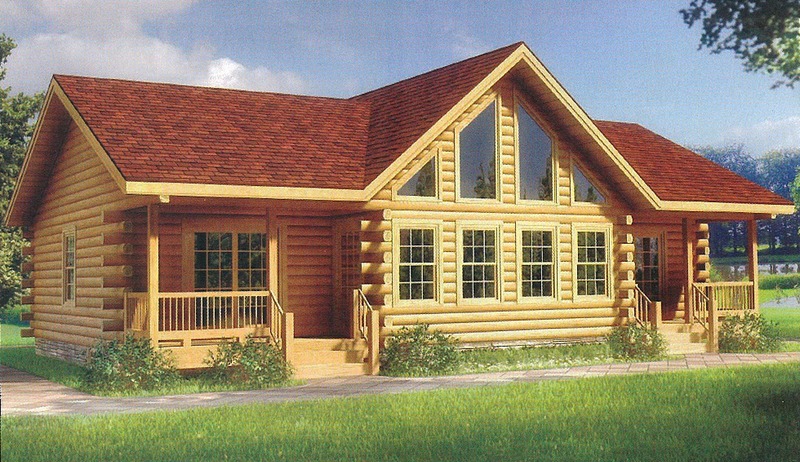 This is a sample of our Post & Beam log sided homes. You may also opt for log corner system to provide you with the complete authentic log home look, all while benefitting from framed structural integrity and energy efficiency of Post & Beam home. 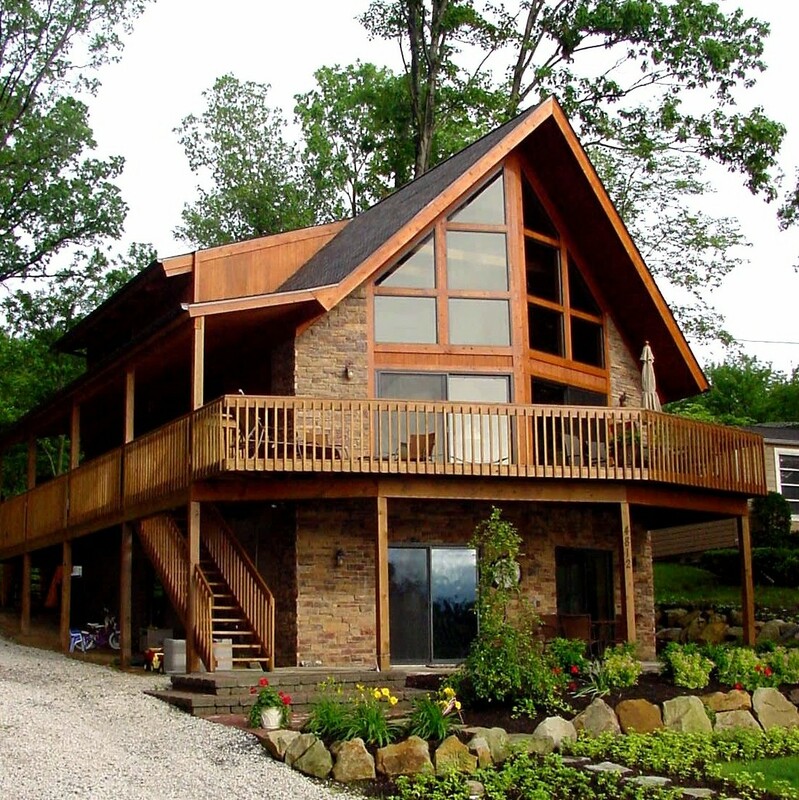 Cabin in the Woods log siding Post & Beam homes also offer superior piece of mind regarding insect infestations, wood boring pests, termites and fungal decay, which pose significant threats to traditional log homes. Interested in energy efficiency? Our Cabin in the Woods Post & Beam homes provide the beauty of optional log siding, combined with high R-value side walls and roof system to meet the more stringent and rigorous local, state and national energy codes for both, in many cases, legal requirements and of course even more important to you the owner, energy efficiency optimization. We encourage you to contact us at your earliest convenience regarding questions and inquiries about our insulated log homes. We can provide additional insight and information regarding features, details and benefits of our log sided Post & Beam homes. Now is the perfect time to start the process of planning for your new home. According to Bloomberg News, sales of new U.S. homes rose in June to the highest level in five years, pointing to gains in residential construction that will support the economic expansion in the second half of the year. Purchases climbed 8.3 percent to an annualized pace of 497,000 homes, the highest level since May 2008, the Commerce Department said. If you are thinking of building your new home, now is the time. To learn about innovative building products, visit Cabin In The Woods – a leader in post & beam and panelized construction. Our new website is now live! Be sure to check it out, and let us know what you think. While you’re looking around, why don’t you check out our packages? 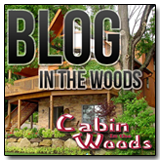 Hello, and welcome to the Blog in the Woods – the leading source for up-to-date information on cabin construction! We’re here to serve our customers and offer additional information that we know will thrill and excite our partners and customers. Check back often for updates, and feel free to subscribe via you favorite RSS reader to get the latest news!